Today’s post is at the Stream: “UN’s Vision for Lifting Up the World’s Poor Differs Sharply from the Pope’s“. And dangerously. Now let’s accept for the sake of argument that the Holy Father is right and that the environment is in need of emergency surgery to “save” it. It’s true that the evidence for this need, particularly concerning global warming, is overblown. And it’s also true that the Pope came to his views based on the flawed, disingenuous, anti-scientific, and even anti-Christian advice of people whose vision of the world is entirely secular. But let that pass. The Pope is, after all, the master of his own words, and he has chosen to believe his advisors. And so too shall we believe them, but only here and only in support of the goal of understanding what can and should be done and the consequences of the actions we would take. Go there and read the rest. This is different than The Pope’s Bargain, which we discussed yesterday. I argue the UN’s Sustainable Development Goals, which the Holy Father singled out for praise, are the exact opposite of Church teaching on several fundamental matters. I also show the consequences of calling for “stopping climate change” which such a thing is physically impossible. And I also argue, again, that “sustainability” is an unattainable goal. The end result of increasing UN and governmental control will to make them hungrier for more. As a Christian, my hope and trust are centered on Jesus Christ, the two thousandth anniversary of whose birth will be celebrated at the coming of the new millennium. We Christians believe that in his Death and Resurrection were fully revealed God’s love and his care for all creation. Jesus Christ is for us God made man, and made a part of the history of humanity. Precisely for this reason, Christian hope for the world and its future extends to every human person. Phil’s piece also has a link to John Paul II’s entire speech. The Pope obviously does not care about where his words lead. He only cares. Caring without any concern over the ramifications of one’s actions is irrational and a sure sign of a liberal mind. All he has to do is care–if horrible things happen because of what he said, he cared. That’s the reality. 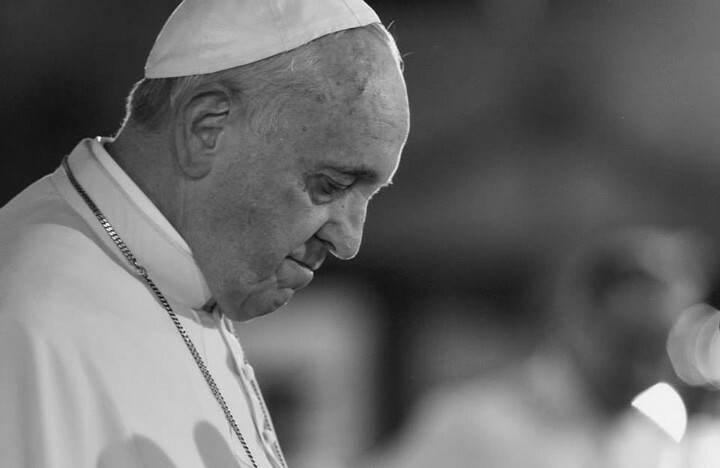 JohnL: I actually did expect the Pope to talk about God and at least occasionally pray. This Pope seems adverse to the idea of prayer in public and rarely mentions God at all. I guess climate change was what was left. If this list is accurate, the Pope is in league with some of the most evil persons on earth who despise humanity and want us all dead. How the Catholic church can sit there blindly…they have learned nothing from their past, that is obvious. JohnB(), but it will it pass soon enough that it won’t create permanent damage? The UN long ago bought into the Marxist dogma that third world countries are poor because the first world countries have stolen their wealth. The UN solution is to take from the rich and give to the poor, AKA theft. Got to redistribute that wealth like god intended.